Pilly! 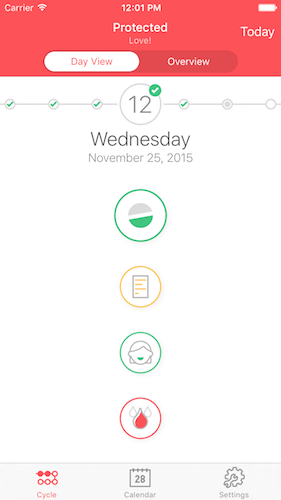 2 for iOS | Your personal pill assistant. Anywhere, anytime. Pilly! 2 offers you an easy-to-use handling with a great looking interface. 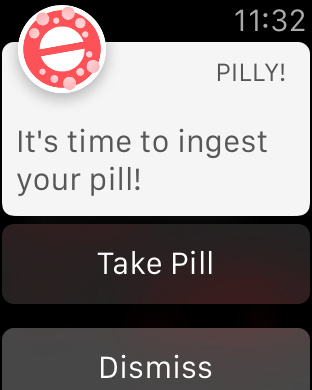 Uncompromising notifications until you ingest your pill. 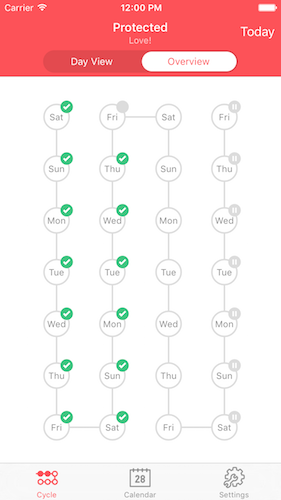 Stay on top of things with the integrated Calendar and Cycle Overview. Pilly! 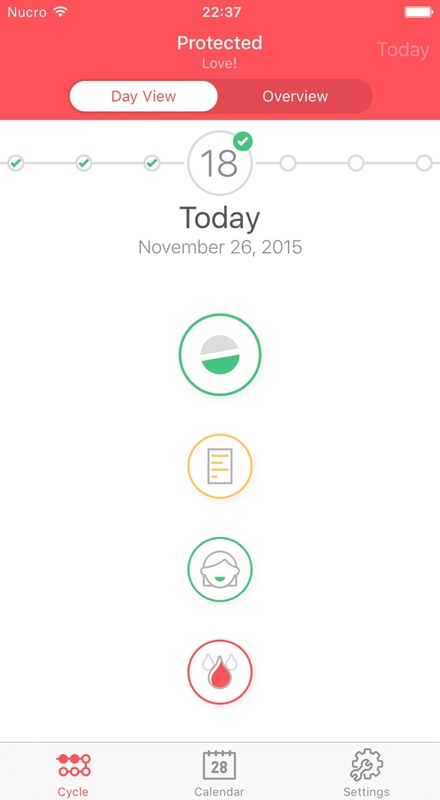 is the most elegant pill reminder on the App Store. The intuitive user interface and powerful features will let you never forget the pill again. Pilly! helps you to manage the pill in your menstrual cycle. 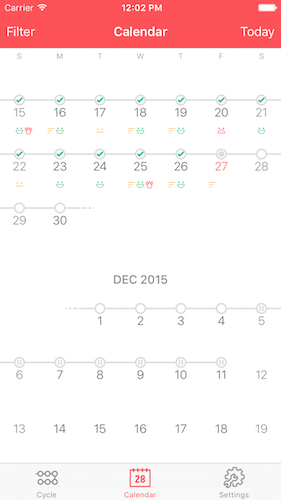 You are getting reliably reminded to take your pill while always having an overview of your whole cycle. 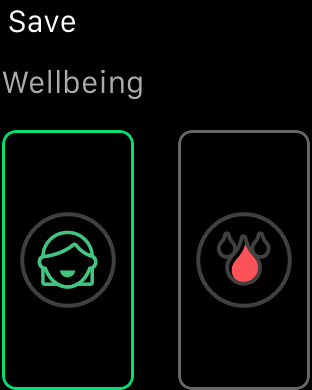 Thanks to the intelligent navigation you can easily switch through the days of cycle and enter notes, your personal wellbeing and the menstrual flow. Receive an impression of the UI. Receive an impression of the clear and beautiful user interface of Pilly! which enables an easy-to-use handling. 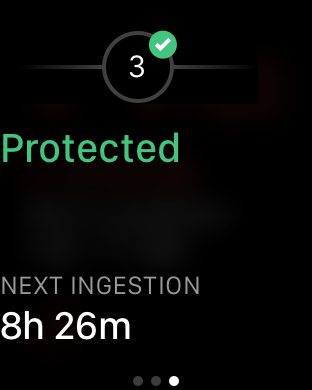 Receive an impression of the Apple Watch App. You can use Pilly! 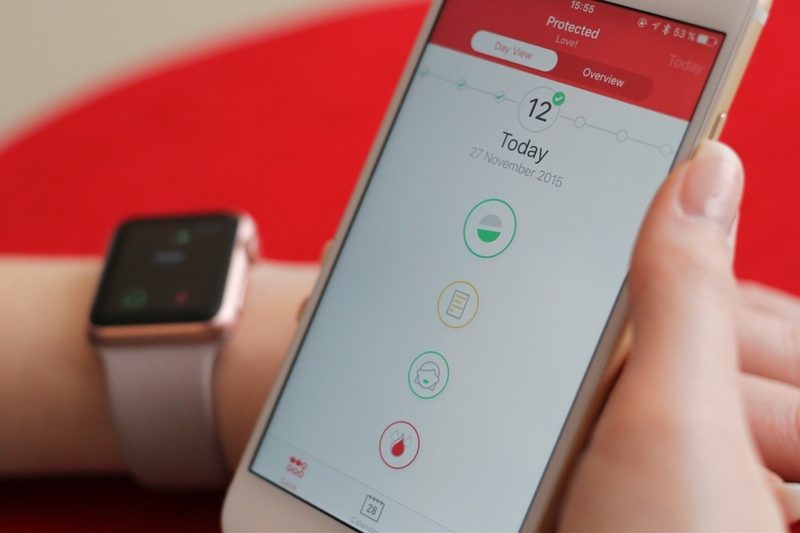 on your wrist with the fully integrated Apple Watch App. 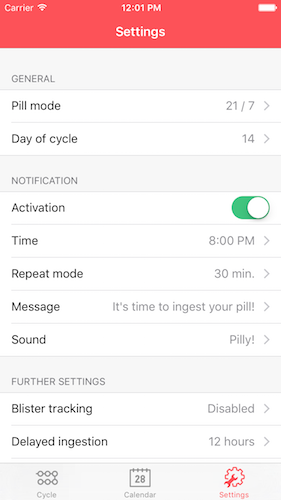 The notifications will pause automatically during your pill-free interval and will, also automatically, start again after the interval. So you don't have to worry about forgetting the pill anymore. You can configure Pilly! just to fit to your needs. You can choose between several packaging sizes (21, 24 and 28 pills) and define in which interval you want to be reminded to take your pill. 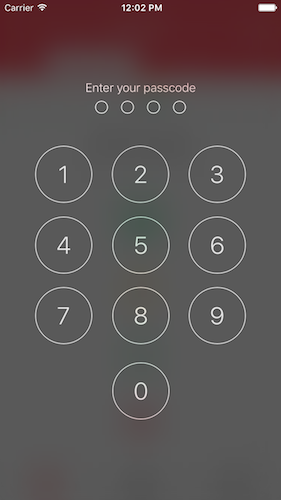 You can also protect your data with a passcode. By using the newest iOS technologies Pilly! is state-of-the-art. 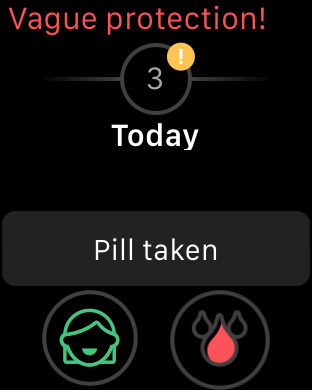 The integrated Today Widget, the Apple Watch App and the fact that you can take the pill directly via the notification are only a few of Pilly!’s enormous features.